Revitalize and restore your spirit in the extraordinary and award-winning Thalasso Center & Spa at Zoëtry Paraiso de la Bonita Riviera Maya, the first of its kind in North America. If you have never heard of Thalassotherapy, which comes from the Greek word for “sea,” the treatments are based on the use of various aspects of the ocean, including freshly heated seawater, seaweed and marine mud. These substances infuse the skin with minerals and nutrients to eliminate toxins and promote well-being. 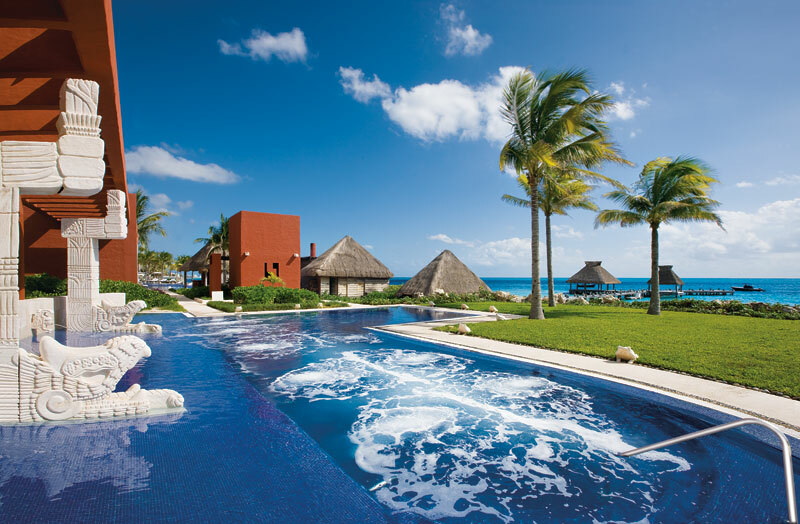 The outdoor Hydrotherapy seawater pool at Zoëtry Paraiso de la Bonita Riviera Maya’s Thalasso Center & Spa available to heals, rejuvenates and detoxifies. The therapeutic benefits of Thalassotherapy have been recognized for thousands of years, being widely used by many ancient Mediterranean civilizations including the Egyptians, Phoenicians, Greeks and Romans. British and French physicians started to recognize the therapeutic benefits of seawater as early as the XVIII century, eventually leading to modern scientific studies and the official recognition of the curative properties of Thalassotherapy by the French Ministry of Health in 1997. The Jacuzzi at the Zoëtry Paraiso de la Bonita Riveria Maya Thalasso Center, the first certified Thalassotherapy center in North America. 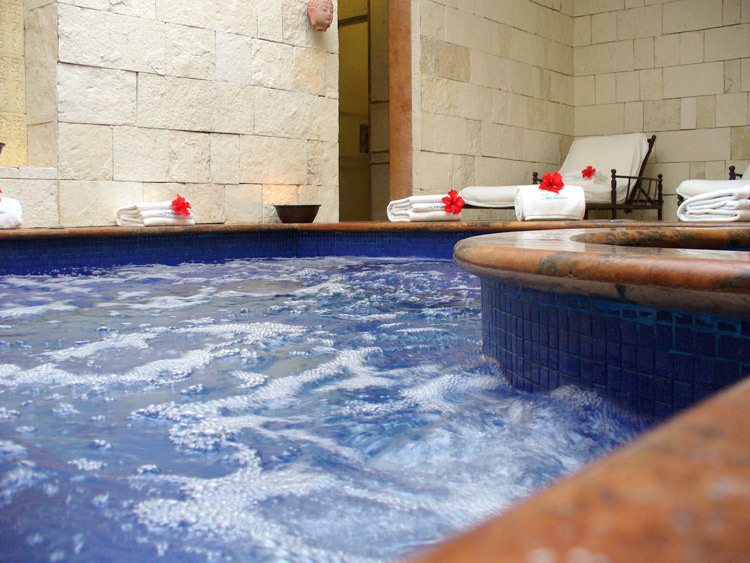 Restore your body to a state of harmony through Zoëtry Paraiso de la Bonita Riviera Maya’s Thalasso Center & Spa’s indoor Jacuzzi Spa. Click here for more information on Thalassotherapy and other spa treatments offered at Zoëtry Paraiso de la Bonita Riviera Maya. 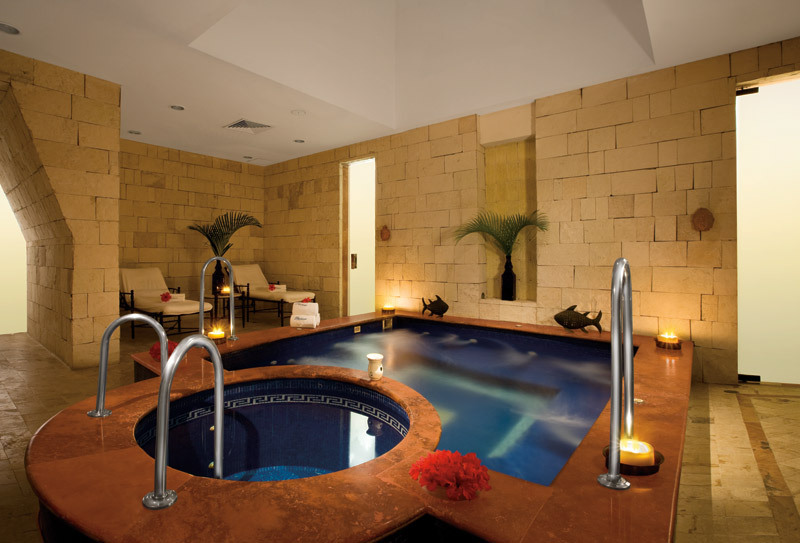 To set up your spa treatments, feel free to email our spa director anytime at spa.zopdb@zoetryresorts.com. This entry was posted in Zoëtry Paraiso de la Bonita, Zoëtry Wellness & Spa Resorts and tagged beach, escape, Mexico, Riviera Maya, Spa, thalassotherapy, Vacation, Zoëtry Paraiso de la Bonita, zoetry resorts. Bookmark the permalink.